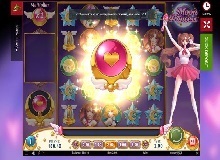 The Moon Princess casino slot online is a game based on one of the most popular casino themes – Japanese anime. It was developed by Play’N Go one of the best casino game developers of today. Besides its interesting theme, this slot machine features a unique structure that is not commonly found in today’s online casinos. Namely, this game offers a brand new kind of high-action gameplay. It doesn’t have ordinary spin reels like most other casino online slot machines do. 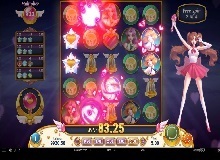 If you play Moon Princess for real money, you will be surprised to see a unique structure, featuring a grid format with five reels. Even though the theme of this slot is very classic and common, the structure behind it is modern and interesting to observe. It is important to mention that Play’N Go developers have made this game compatible for all kinds of devices, from desktop computers to Android and Mac powered mobile devices. The slot also offers quite great graphics with the kind of quality you would normally expect from such popular developers. Once you start playing the game, you will see a beautiful princess on the right side and all of the game controls on the left. Before you start spinning the reels, you need to go through the betting process. Players have two options here. You can either play Moon Princess slot machine online for free or choose to bet money and make things a lot more interesting. The betting amounts range from as little as 0.20 all the way up to 100 coins. Therefore, the game is suitable for all kinds of players, no matter your skill level or betting preferences. Once you place the bet and hit the spin button, be on a lookout for the highest paying symbols such as the princesses and the main moon bonus symbol. The icons that will bring you the lowest rewards are the bell, hearth, rainbow, and the moon star. Keep on reading to find out more about the features and ways you can win money on this slot machine. The highest paying symbol is the wild moon, which is worth a total of 5000 coins and it can replace all other icons on the reels. Besides scoring wins through symbol combinations, players can also benefit from rewarding features such as the Moon Princess free spins. 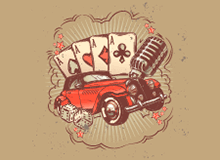 Unlike with other casino online games, you don’t have to match any icons to trigger the free spins mode. In fact, things are quite opposite here. The free spins feature is triggered only when one entire reel is completely emptied of symbols. Once one reel is completely empty, the player will get to choose how they want to spend their free round bonus. You will be offered a wide array of multiplier and bonuses and it is completely up to you to choose which multipliers you want. However, keep in mind that the fewer spins you choose for the feature, the bigger are the chances that you will end up winning a high payout. The second bonus feature of the slot hides behind the three moon princess symbols. These princesses have their special powers that can bring you great amounts of money. What’s so great about this feature is that it triggers each time you land no winning combinations on the reels. Each of the princesses then performs their special power in an attempt to turn a bad spin into a good one. Another great reason to play Moon Princess for real money is the bonus mini-game. This bonus can be triggered once the Trinity bar fills up to the max. Each time you score a win thanks to a princess, the Trinity bar will rise. Once it reaches the top, all princesses perform their powers at the same time, which results in a bigger payout. Overall, the Moon Princess casino slot online is one of the most unique slot machines in the industry. It features a very uncommon setting where the reels are aligned in a grid format. What makes this game so popular is the variety of features it offers, including the lucrative princess bonus and the mini-game as well. There is no doubt that this highly rewarding slot is worth your time. Besides, it is a great opportunity to try something new and step away from the ordinary slot machines that might get boring after a while. Let’s not forget that the Moon Princess slot also has a very high RTP of 96% and it is considered one of the most special slots in online casinos.